Time Travel at its best. 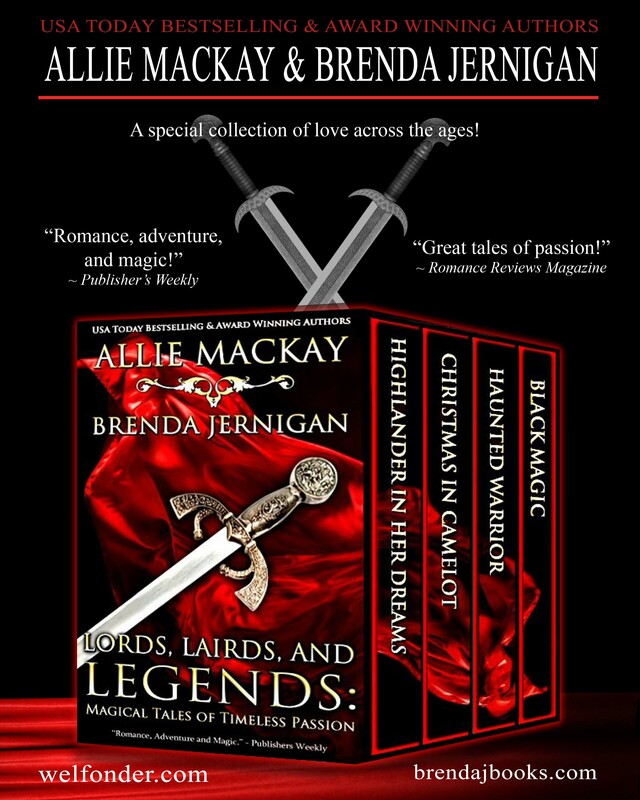 Join Allie Mackay (Pseudonym for Sue-Ellen Welfonder) and Brenda Jernigan on a journey to a more romantic and magical age full of passion, adventure, and legend! Fall in love with our bold heroes and their ladies in these wonderful stories set in medieval Scotland and England, and even New Orleans. Enjoy this special collection of timeless romance and magic! .99 cent – don’t miss it.